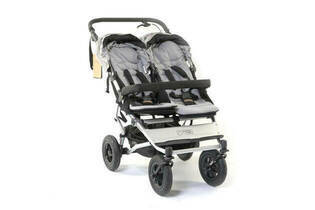 Snapshot: The Mountain Buggy Duet Twin V3 is a side-by-side stroller. But how safe and easy to use is it? Suitable for newborn when reclined. Canopy fabric loosely attached to the frame.